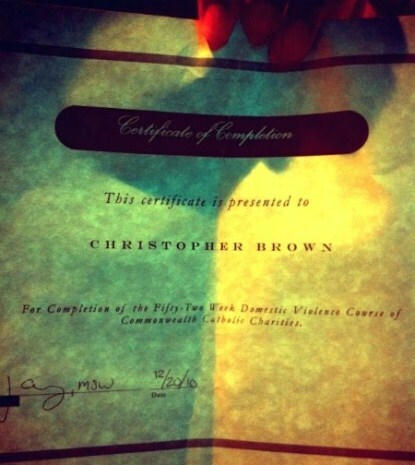 Chris Brown has completed his 52 week domestic violence course and he has the diploma to prove it. Chris proudly tweeted “I’m done with class.” and uploaded a copy of the diploma above for all the world to see. The course was court ordered after he pled guilty to felony assault for abusing Rihanna. Good for him at least he took responsability for his actions – hopefully this will change him!